OH. MY. WORD! This new Embellish Magazine challenge was so hard for me. I obviously did not excel at the childhood pastime of slapping down paper and glue. Which makes total sense because I skipped much of Kindergarten class. Whenever, I didn't want to go to Kindergarten class my mom let me stay home. From the way she tells the story it was quite often. I was very much a loner and I still need reclusive days at home to this day! Ah, bliss. Anywho, I really didn't know what to do with the take on a collage but here's what I came up with. I have another version but it's completely different. I will share that soon but I wasn't smart enough to take pictures of that card at the same time. Technique Tuesday has just released some new round sentiment stamps. The collection is called Signed, Sealed, Delivered. Such cuteness! I have them all so you'll be seeing more of these! Today I used the thank you stamp called THX SEAL. I punched out the outer round border and layered it behind the heart, off to the side. So who's up for the challenge of making a collage card? I will be VERY interested to see everyones take on this collage and "mixed" media thing. Please join us over at Embellish Magazine blog and give us your best shot! Happy Friday everyone! Welcome to the current Embellish Magazine Challenge which is also the last challenge of 2012. We know everyone is busy getting ready and enjoying the Christmas season but we hope you take some time for yourself to relax and get a bit crafty with us. Today we are asking you to use "mixed patterns" along with the colors shown above. I have to admit I kinda screwed up and missed the "mixed" part. I only used one pattern. Whoops. I incorporated my colors by making a little embellishment with twill ribbon. I stapled them together before securing it down which made it much easier to work with. I used Hound Houndstooth for my embossed background pattern and my sentiment is from Loving Words by Ali Edwards. Have a great week everyone!! Merry Christmas! Hey Everyone. Today Regan challenged us to layer Kraft on Kraft and add only one other colour. I knew I had these Maya Road journal tags somewhere and once I found them the card came together quite fast. The stamps I used are from the Thanks for Everything set by Technique Tuesday. I stamped the flower 3 times randomly onto the card base. The black flower was heat embossed with a light tan embossing powder and then paper pieced. Once it was in place I added the journal to the card and then I heat embossed the sentiment. The top flower was also heat embossed in black and attached with a dimensional foam square. The button and twine topped it off. That's it, that's all. Be sure to check out my girls to see what they came up with. Have a great day everyone. p.s....I finally got a picture up showing the full Pointsettia card on last fridays post . Still don't love the photo but I love the card. October’s Technique Tuesday Stamping Tech Blog Hop! Welcome to October’s Technique Tuesday Stamping Tech Blog Hop! It’s the time of year to give thanks to the important people in our lives. So this month, the Stamping Techs want to share with you some fabulous thank you cards. I used The Family Circle by Ali Edwards on my card. I know this set is geared towards being a scrapping stamp set but since I don't scrapbook I can pretty much find a way to use any stamp on a card. The circle, the text block and the scroll-y word are all separate stamps so you can play around with any look you want. Fun, yes? We want to give thanks to one of you for taking part in the blog hop today. From the comments received on all the blogs, we will pick one lucky person to win one the I Pick You stamp set. This is one of TT’s newest stamp sets! I Pick You! Comments must be posted by midnight on Nov. 2nd. The winner will be announced on Nov. 3rd sometime on the Technique Tuesday blog. Hey Everyone.....we're back for another Loonie Stampers Challenge. It was my pick this week and I chose Green, White and Black. I made this card in the middle of summer to be ahead of the game when it came to my turn. That's about all I was prepared with. I couldn't find the card until yesterday to take a picture and as I type this it is almost 1:00 am. Such a procrastinator! Oh and I had a beotch of a time doing the post. We downloaded the OS X Lion system to our Mac and now I feel even more lost than I was before. So either I'm a hopeless dummy (yes) or Typepad does not like Lion. Sheesh. So for that reason I'm going to keep it short and sweet! Oh but I will tell you that Steph and I found out there is an sale at a community hall for antiques and collectibles. Hopefully I'll be back on Sunday with a Thrifty finds post. Here's the Technique Tuesday stamps I used. We're back with the second installment of Hero Arts sponsored challenge. Have you ever been to their blog and website? Such happy places to visit! Last week it was all about using "text" and this week we are doing some background stamping. I love my 2 newest large background Hero Art stamps. I used Diagonal Dictionary Type on the card base in a very light ink. It's subtle but the angle of the stamp adds a ton of interest. On the small tags I used Thank You Definition Cling Large Background. I just inked up some corners of the large stamp and randomly stamped the tags here and there. 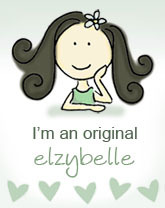 Hope to see you over at Embellish Magazine Blog. These colours are great and we'd LOVE to see what you do with your background stamping! Our challenge today was to use Chocolate, Melon Berry and Scarlet Jewel. What can I say other than .....holy moly Maria, those were some tough colours to work with! Yikesa. I just received my latest Technique Tuesday order and used Mon Ami Paris on my card. The second I stamped the image I instantly loved how beautiful and detailed it was. I played it safe and used the "Merci" sentiment as I'm not sure what "Mon Ami" means. I'll have to look that up one of these days. Have a great weekend everyone. I've got a few more perennials to plant and Mike built me 2 fantastic raised flower beds that I need to get some veggies planted in as well. I've been really enjoying anything to do with plants and out doors these days. Whatcha all up to this weekend? I die cut the bird on the gray cardstock and overlayed the negative onto the white cardstock which was stamped with Diagonal Dictionary Type. The wing was cut freehand and the eye is a little button that is tied on the back to secure it. I then cut a strip of the same stamped "paper" for a bit of a decorative border at the bottom. And a teeny tiny bow is always cute don'tcha think? We would LOVE it is you would join us and play along. The entries into the Embellish challenges are always so incredible and so inspiring. I swear I often look at the cards and think "I wish I made that!"